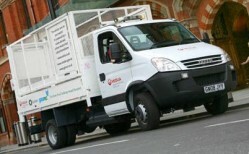 The IVECO Daily, now in its third generation, has evolved over 40 years to become today’s champion of sustainability. First launched in 1978, the Daily revolutionised light commercial transport with its truck-derived chassis with rear traction and independent front suspension. Today’s ‘C’ shaped chassis is unique, versatile and available powered by Compressed Natural Gas (CNG). Throughout the 40 years since its launch, the Daily has introduced numerous industry firsts and received recognition from industry experts, resulting in an impressive collection of international awards. It has pushed the boundaries of innovation, versatility and efficiency in light commercial vehicles, leading the way with its efficient and environmentally friendly technologies, as these demands have become increasingly critical to the transport sector. To this date, it is ahead of the industry in sustainability with the unique concept of the Daily Blue Power: a vehicle family that frees transport operators from the constraints of the strictest environmental regulations and was awarded the title of “International Van of the Year 2018”. As one of the choices in the Blue Power family, the Daily Hi-Matic Natural Power became the first CNG vehicle with an 8-speed automatic gearbox in the LCV industry, introduced in 2017. It was voted in Italy as the Sustainable Truck of the Year 2018. The Daily CNG was the first light commercial vehicle featuring a CNG engine, introduced in 1998. 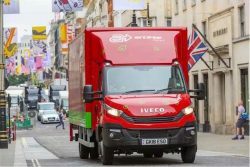 The sale of more than 4,000 CNG powered light commercial vehicles, vans and chassis cabs, in Western Europe allowed Iveco to establish itself as European leader in the field of low environmental impact engines. 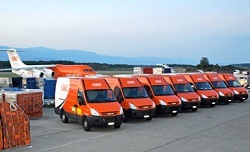 Since 2009, the ECODaily Natural Power has continued the tradition of the Daily CNG, awarded the “Green Van of the Year 2009” award at the Fleet Van Awards in October 2009. 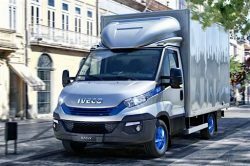 The Iveco light commercial vehicle established itself in the category reserved for alternative fuel vehicles, beating numerous other electric, hybrid and natural gas vehicles. In the award citation it was emphasised that the ECODaily Natural Power already met the Euro6 emission levels required by European standards and, biomethane powered, was the first light commercial vehicle in Europe able to guarantee a carbon dioxide emissions reduction of 62% compared to an equivalent diesel model. Today, more than 3 million Daily vehicles, manufactured on 3 continents, are on the roads in 110 countries are testament to this family’s popularity and exceptional capacity for adapting to meet the specific needs of our customers across the world.